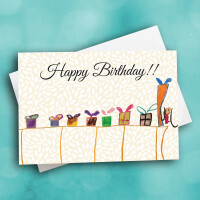 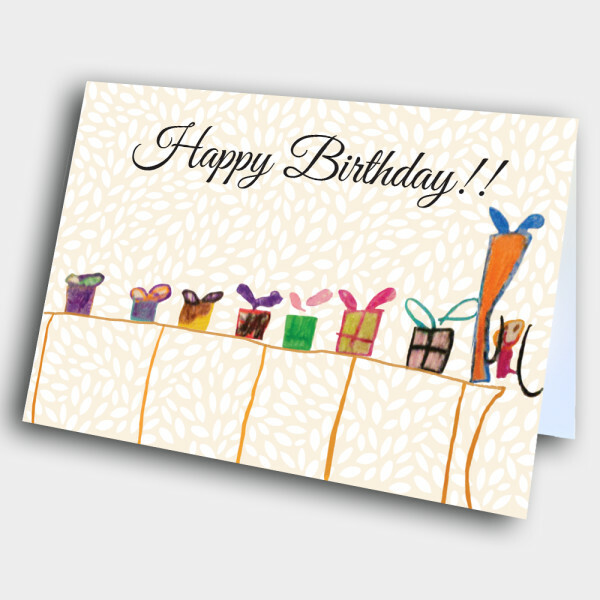 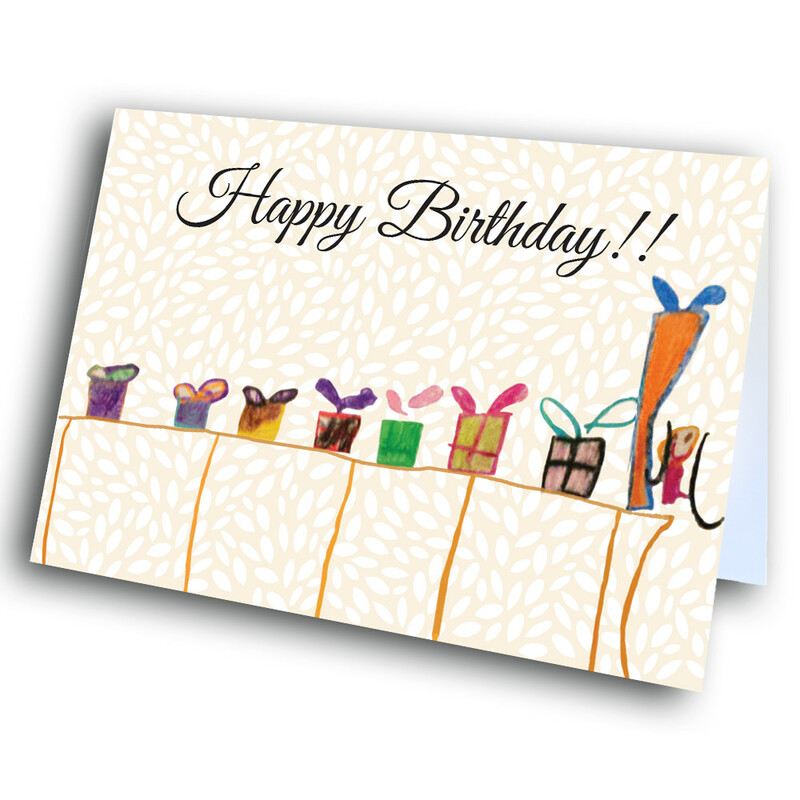 Give not just one, but eight gifts, with this cute and classy birthday card. 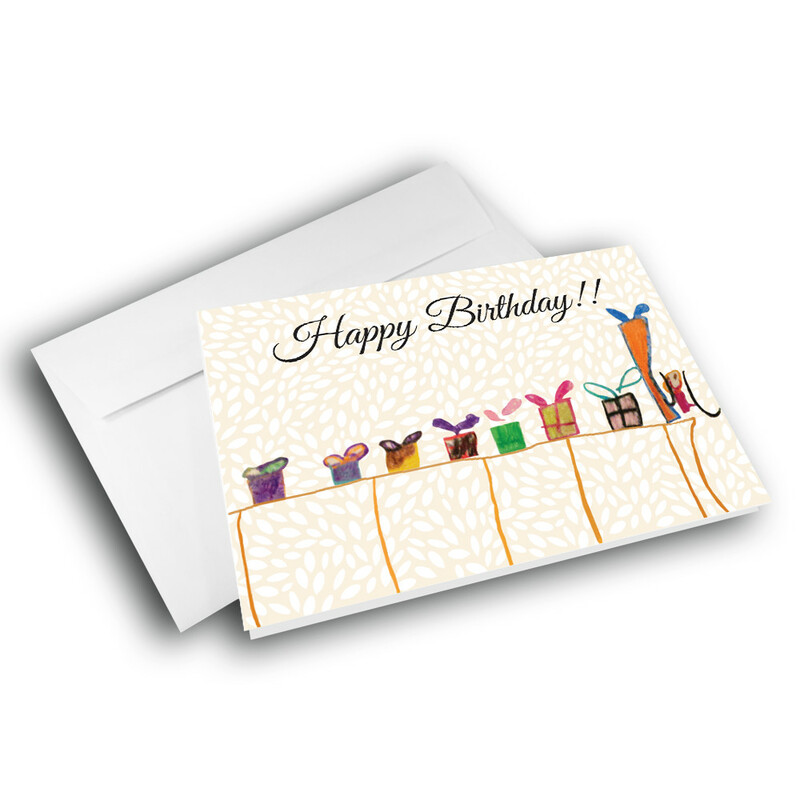 This card can be simultaneously personal and professional. 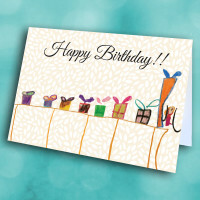 Across the front, eight unique gifts sit lined up in a row. 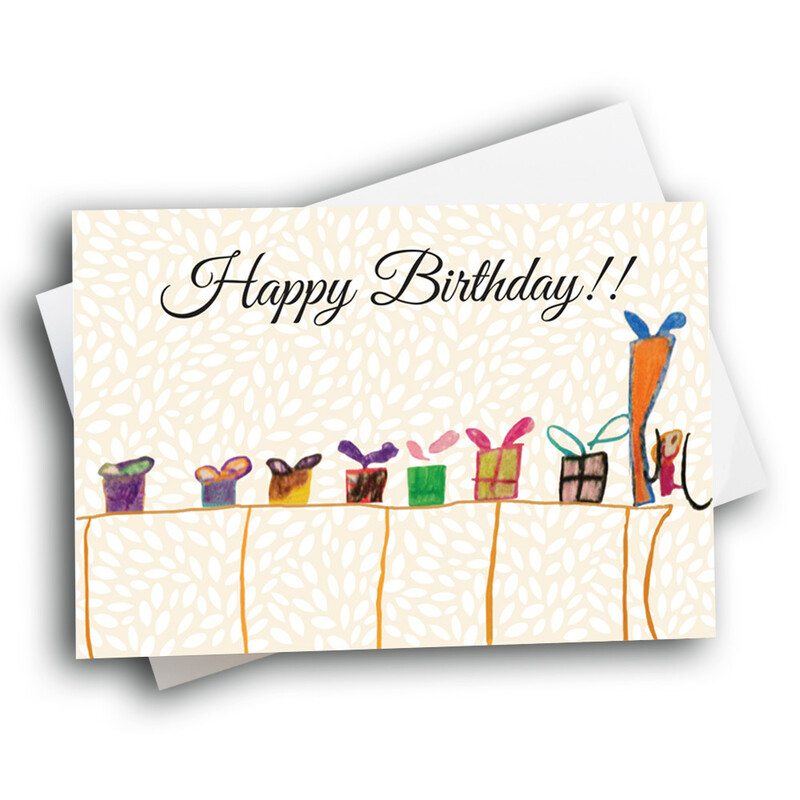 The simple artwork of the gifts gives the card a childish charm, while the elegantly penned greeting and patterned background give it a stylish touch. 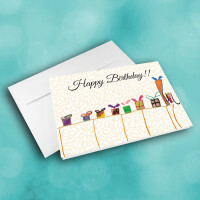 Add a personalized message inside to make this card unique and one-of-a-kind.